A common scenario for most companies is to have a majority of full-time workers and a few part-time workers. Most companies with this kind of employee setup tend to have holiday requests for full-time workers in days i.e. 28 days holiday where as part-time workers would have their holiday requests in hours i.e. 224 hours holiday. When you first setup your LeaveWizard account you will have two leave types configured, these are Holiday and Sickness. 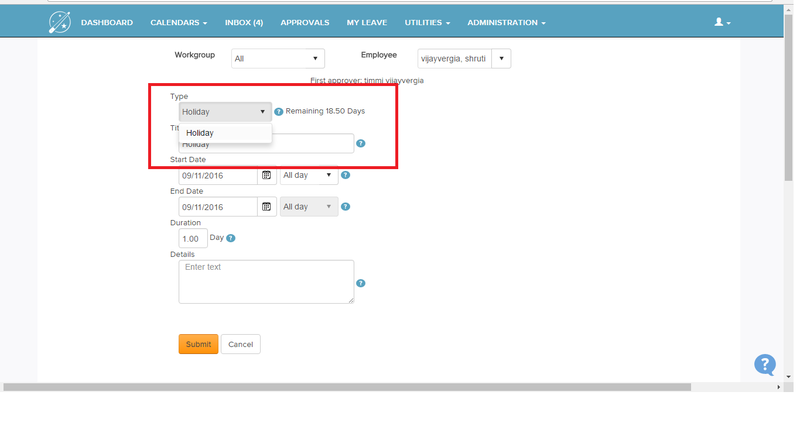 The default configuration for the Holiday leave type is to record leave in days. If we want to support part-time workers requesting leave in hours we need to add a new leave type. 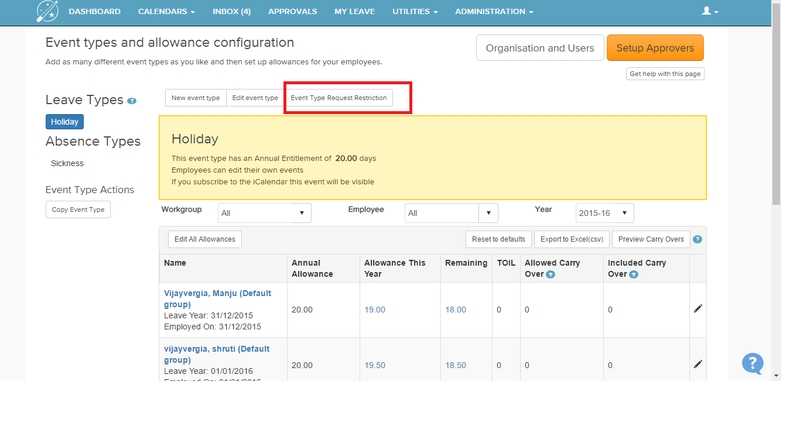 You can do this by going to “Administration | Leave Types & Allowances” and clicking “New Leave Type”. 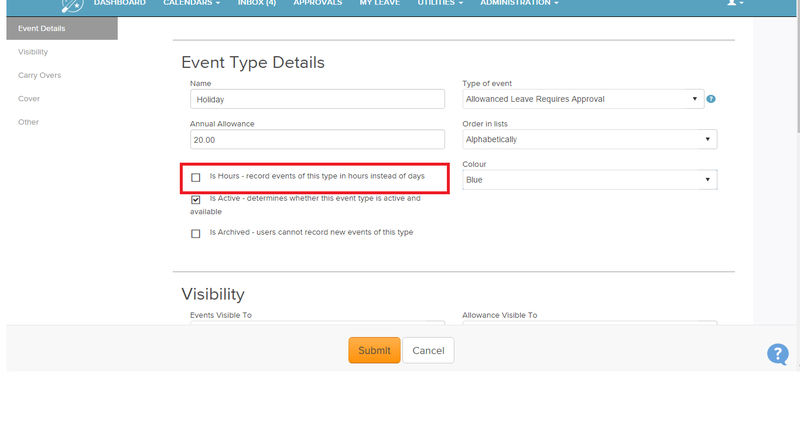 Give your leave type an appropriate name such as “Holiday Part-Time”, determine whether the leave type requires approval from the available drop down options, set the required allowance and ensure you tick the “In Hours” box. Once you are happy with the leave type setup, click the “Submit” button. You should then see you new leave type in the leave types tree. 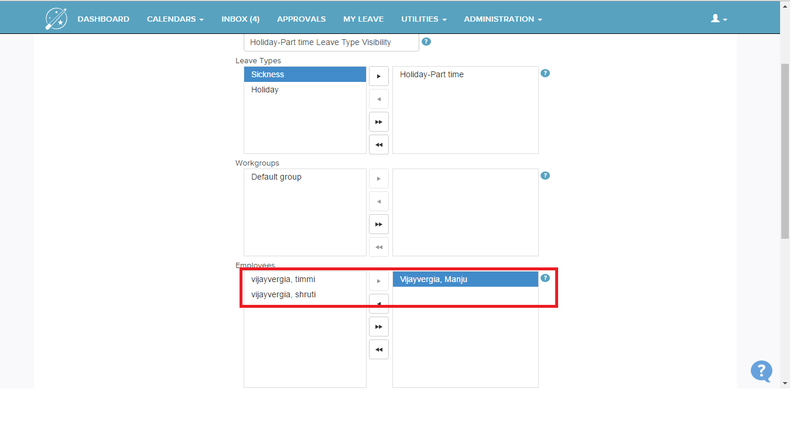 Next, we want to configure the leave type so that only our part-time employees will see the leave type when they request leave. We can do this by clicking the “Change who can see this leave type…” button. We can the choose which employees should be able to request this leave type. We can do this by simply choosing either an entire workgroup or by selecting specific employees. In this case we only want Shruti and timmi as they are our part-time employees. 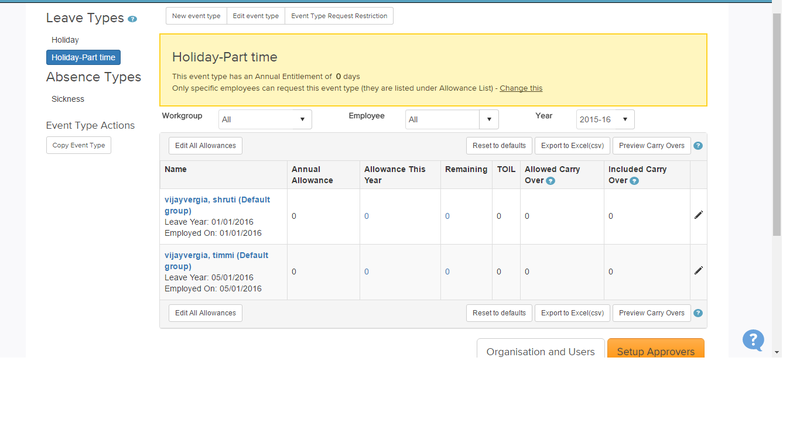 The last thing we need to do is to configure the existing Holiday leave type so that it is not available to the part-time employees. We can do this by selecting the Holiday leave type in the leave types list and then again clicking the “Change who can see this leave type…” button. How is my billing information processed? I want to book a period of leave that incorporates a bank holiday. How do I stop this day from being deducted from my holiday allowance? My line managers aren't approving leave requests, what should I do?